Timber doors can be made in either European Oak or Douglas Fir in a range of our finishes to suit your requirements. 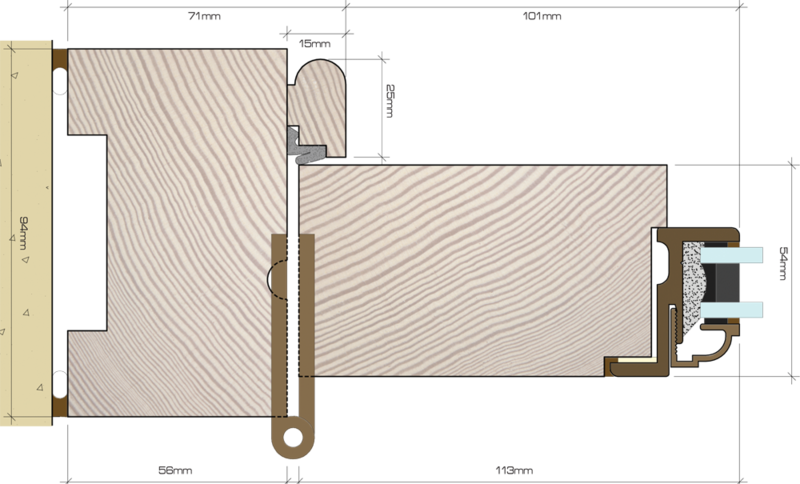 The doors can be made as a single, pair or a set of bi-folds. The doors are fitted with bronze casements which can accept double glazed units secured into place with a decorative bronze beading. Bronze ironmongery complements our windows aesthetically. The inclusion of glazing bars, opaque glazing and/or abutment details may alter performance data and design limits. Please contact our sales team to discuss any requirements outside of the standard size limits detailed above. U-value performance based on an 18mm sealed double glazed unit made up of 4mm tough/10mm 90% Krypton filled cavity/4mm tough Planitherm total + with warm edge spacers. U-values calculated in accordance with BS EN ISO 10077-1:2006. Worst case system value 2.0Wm2K based upon double doors including glazing bars.